St Cletus was the third Bishop of Rome following St Peter and St Linus. His papacy extended for twelve years, from circa. 80-92 (Annuario Pontificio). St Cletus divided Rome into twenty-five Parishes and ordained an unknown number of priests. He was buried near to St Peter and St Linus. 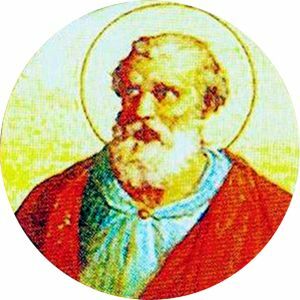 St Cletus’ Feast Day is celebrated on 26th April along with the martyr, St Marcellinus (Pope from 296-304). Pray for us that we may become worthy of the promises of Jesus Christ.